Dr. Metzler made a special visit to Pollard School today to make good on his promise to the PTA Silent Auction and Family Fun Night event. 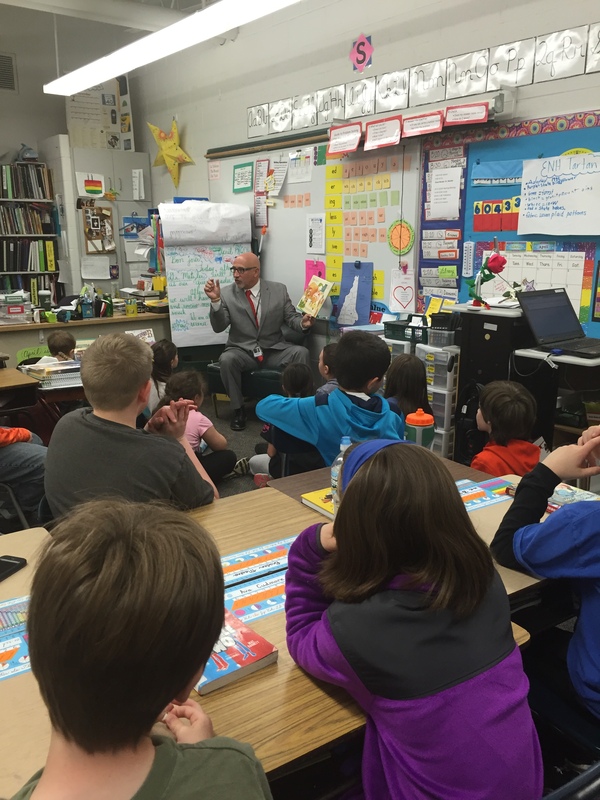 One of the special raffles at the event included having the Superintendent of Schools read to a classroom. Matthew Smith of Mrs. Rodriguez’s third grade class won the raffle and Dr. Metzler met with the classroom to read Madam Pancake and Sir Frenchtoast by Josh Funk. Dr. Metzler was very impressed with the students and the exceptional instruction and care they receive from Mrs. Rodriquez.